Government link company crony car. where they non-stop use our Duit Rakyat! Muya, well managed GLC should be praised. They don’t take your money but you pay for their service. 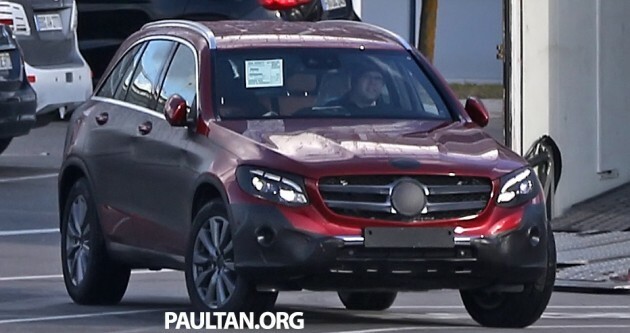 somehow the new deisgn language does not translate well onto SUV body-styles ….that C-pillar is bugging me..
Penang Government openly used public money bought and maintained their luxury fleets, Mercedes S-class. Out of stupidity, they even claim the maintenance would be cheaper, it is well known the monthly payment itself is overwelhming National carmaker or Sushi maintenance cost + monthly payment. That car that Penang Government bought out of public hard earned money, they used it to tell the public that they are the Boss, very Ah Being like, parked everywhere they feel like it to. For example, Penang chief minister, even his wife with half a million pendant did so. Petronas is a GLC company has given back to the public in many ways.i.e. employability, education, technology sharing and scholarship to the public. Well done Petronas. What has Penang LGE of DAP give back, increased water tariff by 20 PERCENT, introducing Bed tax, systematically polarising the Bumi’s and the Chinese low income earner. Even badmouthing our beloved Malaysia openly to Hong Kong Investor during Media event. What a Khianat and Hina they are, so KHINA. So not WHERE but WHEN these KHINA will stop using our hard-earned money and think they are the Boss?? Deposit for Najis new jet already 65Million, equal to more than 100 S-Class! Then what to say?? This not include the Monthly Repayment of 2.2Million for 15 years. You really bought that daft accusation by Khina Rafizi. You are equal to him. That flight is not a private jet. It bought for the Emperor replacing the aging flights >20 yo, befitted for them as a symbol of Malaysian sovereignty. Have you looked at The Queen of England’s flight. Khina Rafizi within just a short term mp without successful business background could earn over RMY 2 millions. Khina Nga Kor Ming with just being a mp for 2 term, he is able to built a White House of Malaya. Resident of Jetty has realised this. ThinkaThink? Jangan senang dipengaruhi oleh hasutan orang lain. Use our brains and eyes. We need to vote the better party, the better one, that’s it. Nobody is perfect. It is okay for me, if only 1% of 20billion is eaten, and the rest is properly used to majukan negara. No absolute black or white, just the better.